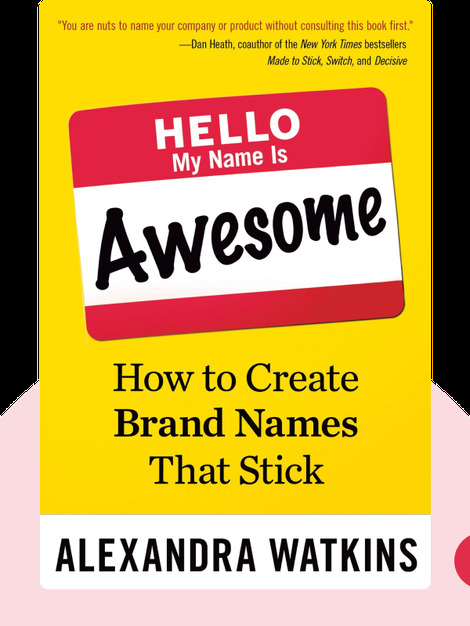 Hello, My Name is Awesome (2014) is about the most important decision a new business faces: choosing a brand name that will launch the company into the stratosphere where it belongs. You might think picking a name is straightforward, but you have a lot to learn! This is your guide to negotiating the snakes and ladders of the brand-naming process – and coming out on top. 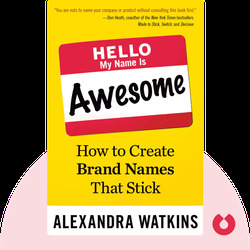 Alexandra Watkins is the founder of the naming firm, Eat My Words, and a recognized expert on brand names.